Sign up will continue next Monday for all eligible cadets this Monday. First meeting for ground school will take place on 24 September 2015: 1830-2000hrs in the main classroom at LHQ (downstairs). 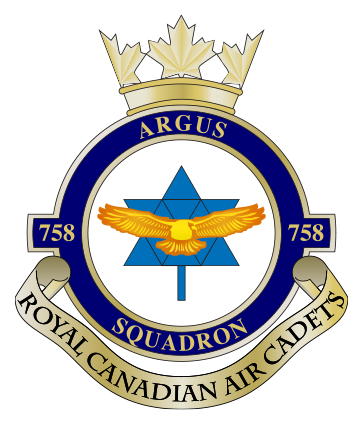 All cadets are instructed to wear the pin provided by the Air Cadet League of Canada from 1 September 2015 to 31 December 2016 in celebration of the 75th Anniversary of Air Cadets in Canada. It is only worn on the tunic (not the shirt) on the left pocket flap. Exact positioning is in the below document. Congratulations to all those who received promotions this past Monday! Please remember to swing by supply to exchange your slip ons. For those who were expecting a promotion and did not receive it, it is likely that you are missing a qualification (i.e., valid fitness assessment, time in rank, or something for your level). If you would like to know what that is, please swing by Administration and ask or use the Contact Us page and send us an email and we will let you know.